Spicy chaï - Monsieur T.
Travel to the land of spices, colors and Bollywood. Comprise of black tea, anise, cinnamon and ginger pieces, black pepper, clove, chicory root and cardamom. This delicious brew is perfect for an introduction to a tea universe. 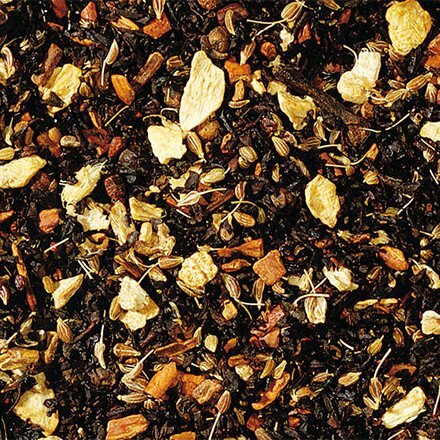 Contains: Black tea, aniseed, pieces of cinnamon and ginger, black pepper, cloves, chicory root, flavors.